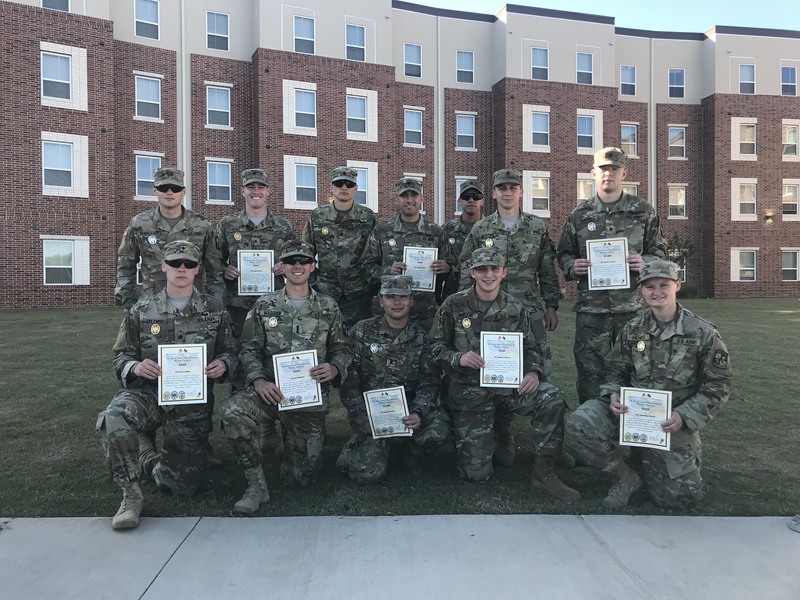 Fourteen members from Tarleton State University ROTC competed for a German Armed Forces Proficiency Badge last weekend for the first time in program history and brought home a gold badge for winning first place in all the categories. The German Armed Forces Proficiency Badge is an award based on a certain score the cadets earn with each category they compete in. The participants can earn either a gold, silver or bronze badge depending on where they score in each category. The categories consist of a 100-meter swim in full uniform in four minutes while taking the uniform off in the water, a pistol shoot of five rounds hitting three targets, a 1,000-meter sprint in less than four minutes and a flexed arm hang where the cadets must hold a pole for 65 to 80 seconds and finish with a seven-mile ruck, among many other challenges. 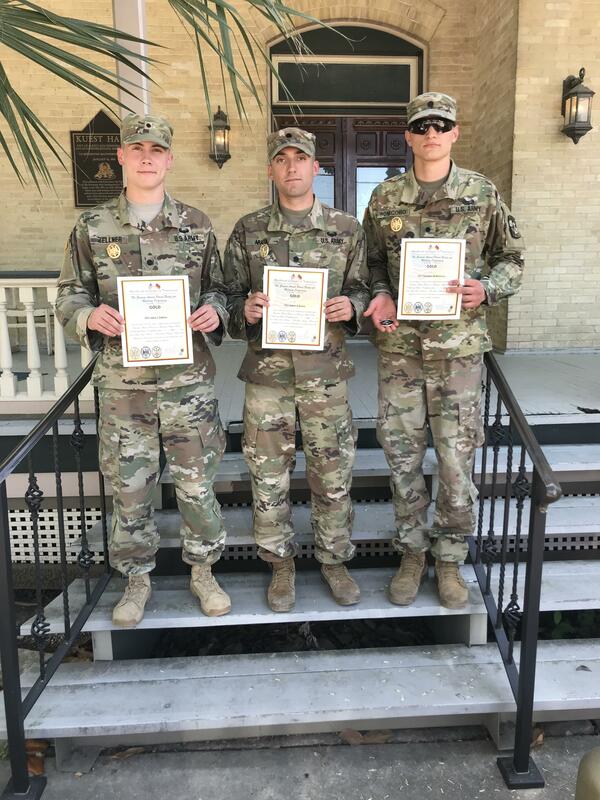 Several ROTC cadets including Arata, John Zellner and Nick Bonicoro won a gold badge they will now be allowed to wear on their dress uniform. Five hundred people were expected, 300 participants showed up and roughly 250 participants were awarded a badge. Cadets from a variety of universities such as Saint Mary’s University, Texas Christian University, Baylor University and the University of Texas were in attendance. The event was hosted by Joint Base San Antonio. Arata said the Tarleton cadets were able to attend this semester’s Proficiency Badge event after pushing this event since his freshman year. TCU essentially invited Tarleton to tag along. Other than passing a pre-swim of 400 meters, the Tarleton group only had a few requirements and qualifications to do when they showed up to the event. The group considered themselves in shape for the event even though they had a little downtime after the Bataan Memorial Death March. Even though this is the first time Tarleton has ever participated, the cadets will try to attend the event every semester. “I overheard the American in charge of it say they’re doing one in October. We’re going to send some cadets down there. The ones that got silver want gold and the ones that couldn’t make it want to do it,” Arata said. Growing up in a military household resulted in Arata searching out these types of events so that when he got to Tarleton, he could do them. “This (event) was a last-minute decision. It’s kind of cool we did as well as we did for a last-minute thing. Almost everyone earned gold except three people,” Arata said. Two military science instructors, Capt. Meredith Woodard and Sgt. 1st Class Steven Gonzales drove the group down to San Antonio. Both instructors had earned the gold badge earlier in their military career. The cadets had to pay for meals themselves, but the event was free for soldiers. 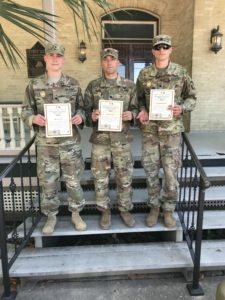 However, the participants of the event were required to be contracted cadets, meaning they are already contracted to join the Army after college. Arata also said that Bonicoro set the record for the road march of 7.4 miles. 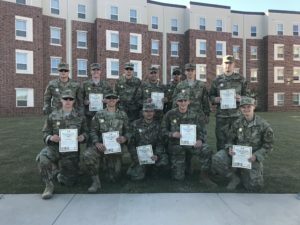 Cadet Apolonio Narvaiz, who served as an Army Engineer prior to enrollment at Tarleton and earned silver in this event while he was stationed in Fort Bragg, North Carolina, was able to participate in this event and earn a gold badge. Zellner said the Tarleton ROTC cadets enjoy being able to have these opportunities and to be able to compete in these events as they progress in this program.